Stainless steel metric intonation screws for Import Fender® Stratocaster®. Size: M3 x 0.5 x 16mm. 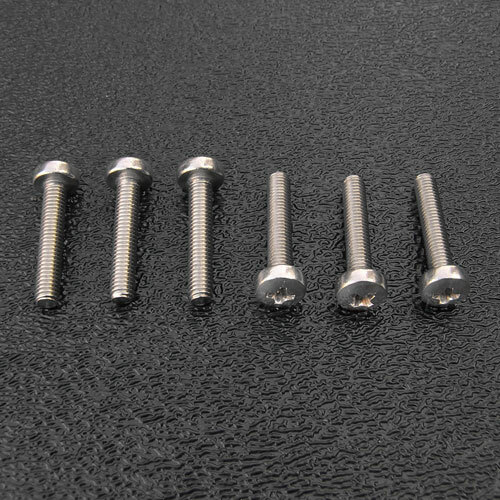 These won't rust or corrode like the standard steel screws that come with your Strat.